DrCoufal: The Better Way Back: Why Back Surgery May Be the RIGHT DECISION. Southern California based neurosurgeon Dr. Frank Coufal shares articles, journals, photos and personal experiences pertaining to neurosurgey, medicine, cultural anthropology, and International medical outreach; he welcomes feedback and thoughtful comments. Dr. Coufal is currently the Medical Director of Neurotrama and Neurosurgical Emergency Services at Scripps Memorial Hospital, La Jolla, CA. Thank you for visiting my blog, I hope to provide interesting topics to discuss and explore. This is a compilation of articles, journals, photographs, and personal anecdotes pertaining to my interests: cultural anthropology, neurosurgery, medicine, and International medical outreach. I am fascinated by people and medicine, which is why I love what I do. Throughout my career as a neurosurgeon I have had the pleasure of meeting people from around the world; I'm eager to share my experiences, lessons, and medical adventures with you. I welcome your thoughtful feedback, enjoy! The Better Way Back: Why Back Surgery May Be the RIGHT DECISION. John Wooden is one of my heroes. Last night I had the opportunity to attend a dinner with Mr. Bill Walton, one of John Wooden's apostles, a 2-time All American, 2 time NBA MVP and Hall of Fame Inductee. Bill Walton, it turns out, had an unexpected story to share regarding his struggle with back surgery and the decision leading up to it. 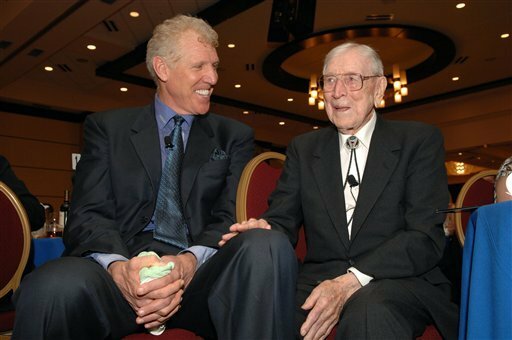 Mr. Walton touched upon the lessons John Wooden taught him and the biggest was, "Don't cheat yourself." Mr. Walton explained that at UCLA none of his teammates knew what Mr. Wooden was talking about: "Don't cheat yourself. Cheating yourself and losing is the worst defeat possible." Mr. Walton explained that years later he understood the message and how it related to his life; by avoiding back surgery he was cheating himself out of a healthy and happy life. In 2010 he began leading the way for recovering patients to partner with pre-op patients, providing them with an "ambassador" to ask questions, relate to, confide and trust - someone other than their doctors and nurses. He is truly paying it forward. My team at LJNA has had numerous successful spinal surgery patients, patients who become evangelists with no channel for their positive stories. I am eager to share the idea behind The Better Way Back to unite the success stories with anxious pre-op patients. If you are reading this and YOU would like to share your positive experience, we welcome your participation. It is rare to read POSITIVE articles on spinal surgery, Bill Walton is starting a movement. There is simply more salacious press which promotes fear in patients, preventing surgeries and inhibiting their chance at a healthy life with no back pain. It is time that inspiring stories be shared and successful patients join forces to create a voice for the value of spinal surgery. Thank you for reading, please click on the link below to read the New York Times article on Mr. Bill Walton.